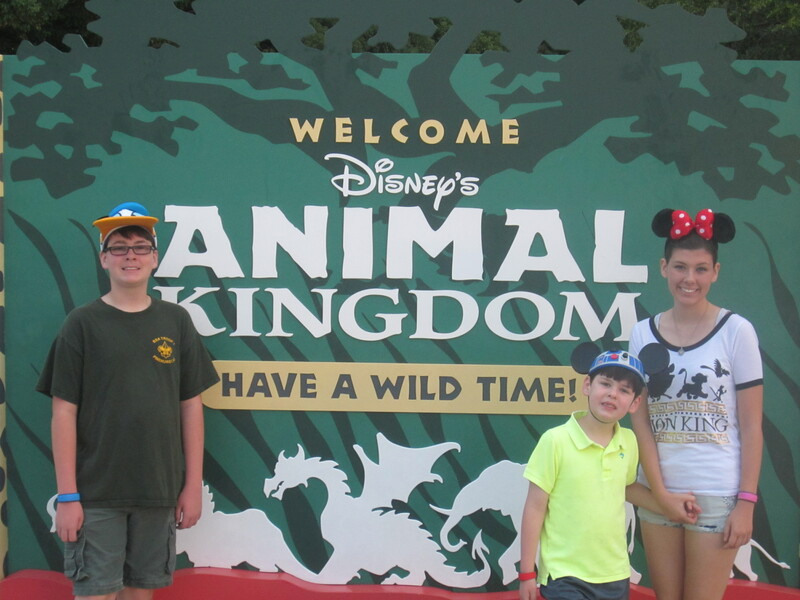 The forth of the major parks to open at the Walt Disney World Resort was Disney’s Animal Kingdom. There are many things as a family we like about this park. It has a good mix of thrill rides and shows, but it is still hard for us to make a full day out of it and keep everyone happy. For our 7 year old, my wife and I our favorite attraction is Kilimanjaro Safaris. Ethan and Wendy love seeing the animals and I enjoy trying to take good pictures as we bounce through on the truck. Kilimanjaro is a great example of how Disney lets attractions grow and change. The story behind the attraction use to center on poaching and now it has evolved into caring for all animals. This is also the best attraction for 3 to 7 year old children. For the older kids and myself our favorite attraction in Animal Kingdom is of course Expedition Everest. Although this is not the highest, fastest coaster I have ridden, it is easily my favorite. The story told as you walk through the cue leads to a fantastic ride that is everything a Disney thrill ride should be. The use of dark areas and projections and even animatronics make this truly an outstanding attraction. As a family we also like the Primeval Whirl in Dino land. This simple coaster is a great ride with cars that spin and a family of 4 or 5 (with a couple small ones) can all ride together. This attraction is a rung or two higher on the ladder than the barnstormer in the Magic Kingdom. This makes it a great stepping stone to bigger coaster for the younger in your party. The one issue we had in Animal Kingdom on this trip was wait times. None of the time posted on attractions we did not have fast passes for seemed to be accurate. Kali River Rapids seemed to be the worst that day. The wait time posted said 20 minutes and it really took almost 45 minutes for us to get through the line.